Caprese salads are probably most delicious for their utter simplicity. 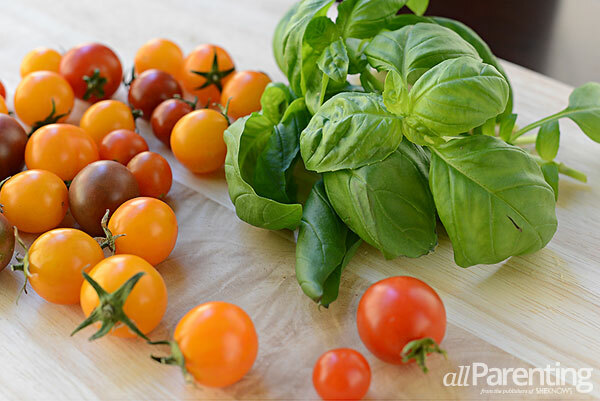 Fresh basil, mozzarella and tomatoes come together, infusing one another with their flavors. Caprese salad easily turns to Panzanella in minutes with the simple addition of freshly toasted bread and the perfect vinaigrette. There's something wonderful about the way the flavors come together in a Caprese salad. The basil plays off the fresh, creamy mozzarella and the juicy, tasty tomatoes simply seal the deal. 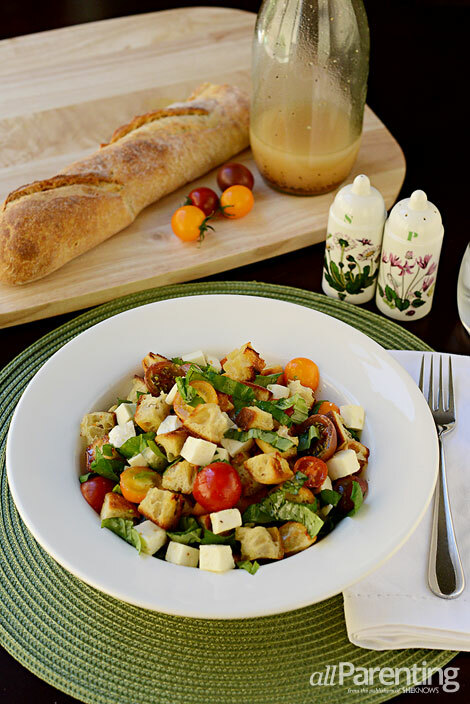 Add freshly toasted bread cubes and a light vinaigrette to the mix and you get Panzanella, which might just supplant Caprese as your favorite! Heat a large saucepan over medium heat and add enough olive oil to lightly coat the bottom. Once the oil is hot, add in the bread cubes and toss to coat. Sprinkle with kosher salt and toss again. Stir frequently for about 8-10 minutes, just until the cubes are slightly toasty, adding more olive oil if necessary. Remove the bread cubes from the heat , transfer to a wire rack and allow to cool completely. Halve the cherry tomatoes and add them to a large salad bowl. Chiffonade the basil and add to the salad bowl. Cube the mozzarella into chunks just a bit smaller than the bread cubes and add them to the bowl. Add in the cooled bread cubes. Allow the finished salad to sit for just a few minutes so the bread can soak up some of the vinaigrette. Check for flavor and add salt and pepper to taste. Serve immediately.